Our mission is to offer Roswell house cleaning services to homeowners' in a way that communicates our dedication to upscale services - without the upscale pricing. That's why we offer both standard and individualized levels of service to all of our clients. Additionally, we also offer one time cleaning services, move in and move out specials as well as monthly services, bi-weekly, weekly or even daily maid services. In a city of more than 88,346 residents, it's important that you find a cleaning service who has the time to be there for you whenever you need them. Aquastar Cleaning Services offers Roswell house cleaning services to homeowners' in this area Monday-Friday, from 8am to 6pm and on Saturdays from 9am to 2pm. Whether you're preparing for a party, expecting guests for the holidays, preparing for a backyard grill out or any other special event one thing's for certain - planning an event is no small matter. So why give yourself extra work by trying to clean the house yourself, when you can have the professionals at Aquastar Cleaning Services do it for you? 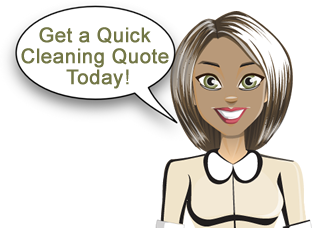 One-time cleaning services aren't just great for special events. They're also come in really handy during those times when you know that your home needs a deep cleaning, but you just don't have the energy to do it yourself. Whether you're moving in or moving out our move-in and move-out special will have your home looking brand new. So remember, whether you're a residential landlord or whether you lease a small office out to businesses the best way to ensure a hassle free experience for your tenants is to hire a professional cleaning service. That's where Aquastar Cleaning Services comes in handy. No matter what the situation, we can handle your move-in or move-out needs. Call us today for our move-in and move-out specials. We can tailor our house cleaning services to suit your individual situation and pocket book. Alternatively, you may also choose one of our standard packages. The friendly cleaning professionals at Aquastar cleaning will help you find the best solution to suit your needs. Our professional house cleaning experts are here to make sure that you and your family have a worry free experience. One of the ways that we do this is by providing whole house cleaning services to ensure that every area of your home is left healthy and spotless. Also, we understand that a clean home environment is important to you and that the very last thing that you want to do is expose your home to harmful chemicals. That's why Aquastar Cleaning Services only uses green cleaning products to ensure that your home stays clean and healthy. Best of all no matter which service you need, all of our services come with the same hassle free, no contract billing that has become synonymous with the Aquastar Cleaning Services brand! Call us today at 678-581-9951 for a FREE Estimate!